Alexa Valiente, a producer for ABC News for six years, passed away over the weekend. Valiente, who had been facing health issues for several months, died on Friday night. She was 27. She was known for her infectious laugh and one-of-a-kind personality that stretched far beyond the walls the newsroom. Alexa Valiente poses for a picture in a family photo. "Always a friendly face in the halls, she had an upbeat spirit, a curious and brilliant mind and a real passion to see the world," said James Goldston, president of ABC News. "She will be deeply missed." 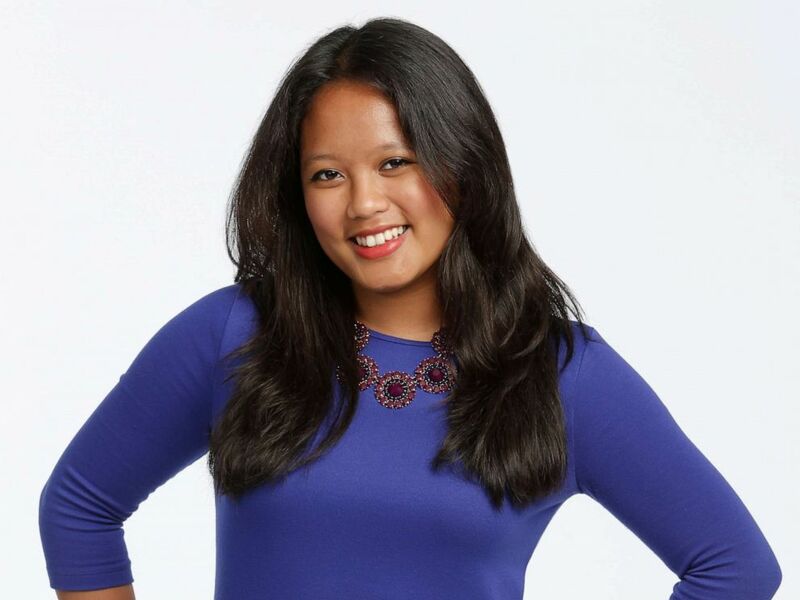 Valiente, who started as an intern, was on the digital show integration team. Her work spanned different sections of the ABC News operation, including "Nightline," "20/20" and "Popcorn with Peter Travers." The news came as a surprise to many in the newsroom who knew her well. She was remembered as a co-worker who always asked how a colleague was doing before talking about herself. "Fierce, funny and adventurous, that girl was a force who could light up a room," said Katie Nelson, executive producer for ABC News Content. Friends remembered her as a smart and tenacious journalist, a thoughtful and attentive friend, and an adventurous traveler. Valiente lived life to the fullest, friends recalled, and always found ways to enjoy every little moment it offered. 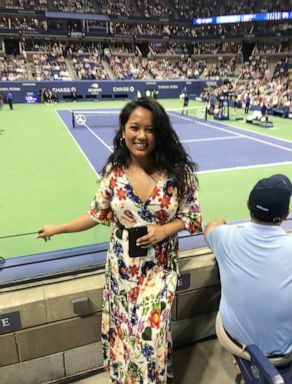 Alexa Valiente poses for a photo at the U.S. Open. Valiente won her first Emmy in 2018 for her work on the "20/20" story "Las Vegas: Heartbreak and Heroes." Valiente shared all aspects of her life, from videos of her hip hop dance routines to photos of her impressively stylish wardrobe with #OOTD. Caring, confident and beautiful inside and out, friends said she never shied away from living out loud. She could effortlessly rock out a power ballad at karaoke with friends just as easily as she could collaborate with her peers under critical deadlines to report important stories, close colleagues remembered. "Every Friday afternoon, with just enough people still in the office to enjoy it, Alexa would treat the staff to 'Flashback Friday' -- a weekly jam session at her desk where she’d play classics from Backstreet Boys, Usher and Britney Spears to sing and dance along to," said Allie Yang, an associate producer who worked with Valiente. "She was lovingly referred to as 'DJ Lexi Lex on the Dex.'" Valiente's creativity was always on display. On separate occasions, she dressed up as a virtual assistant speaker "Alexa" and another time strapped on a brown beard and a guitar to personify Bradley Cooper’s character from "A Star is Born." Valiente traveled frequently, to different corners of the world, at times on a monthly basis at the drop of a hat. She made friends everywhere and visited different countries, constantly regaling co-workers with her quintessential #jetsetalexa lifestyle. She inspired others to live as vibrantly as she did, many co-workers recalled. Alexa Valiente poses for a portrait at ABC News in New York. 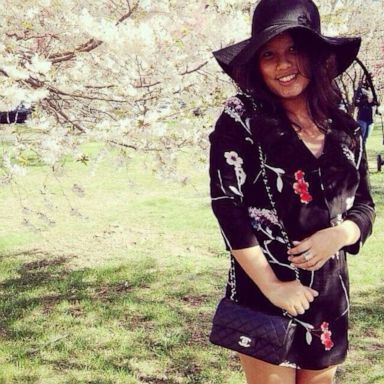 Valiente graduated from Seton Hall University with a degree in diplomacy and international relations and was part of a leadership program at ABC News, mentored by Barbara Fedida, senior vice president for talent, editorial strategy and business affairs. She was selected to participate in the Asian American Journalists Association executive leadership program this month. Valiente is survived by her parents, Mante and Connie, her sister, Jessica, and brother, Justin.